With a traditional setting and warm relaxing colors Amalia Restaurant offers daily breakfast between 06:30am till 10:30am. 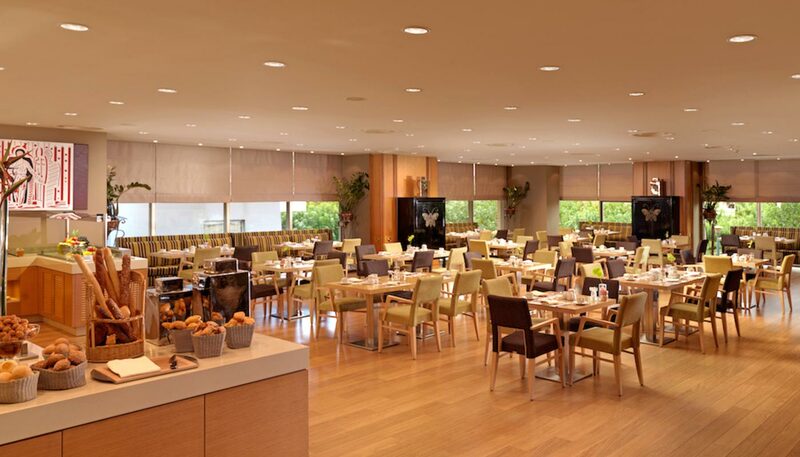 Breakfast possibilities are endless and includes a great variety of Greek delicacies as well as low calories options. 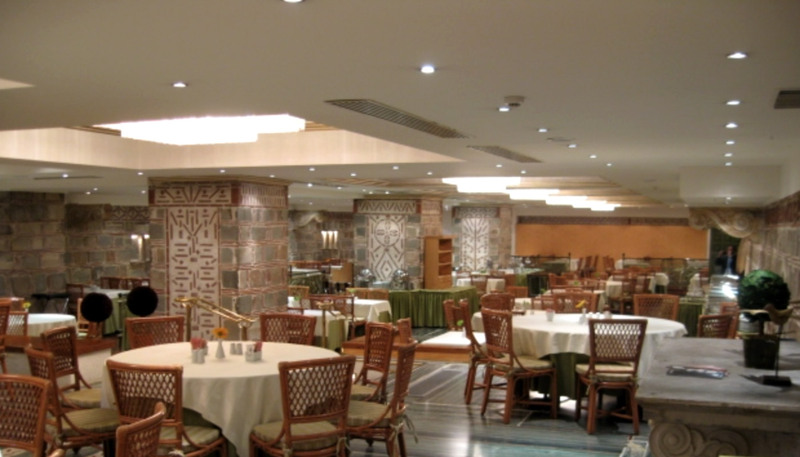 Discover Constantinople Café and Restaurant, one of the most popular and busy meeting points in Athens. As the beating heart of the hotel, JuJu Bar & Restaurant offers a seductive mix of contemporary music, delicious dishes and bespoke cocktails. 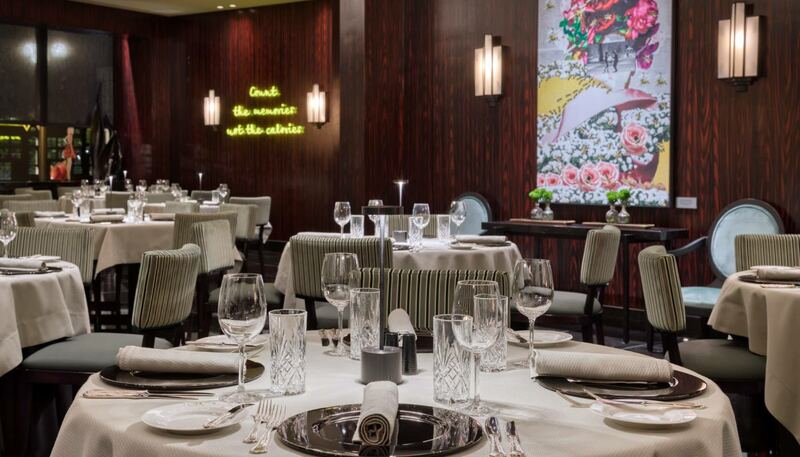 The black marble covered floor and the ebony feel walls combined with a large bar and eclectic mix of art deco furniture creates the perfect backdrop for drinking and dining. Catering both to guests and the city’s discerning style crowd, JuJu Bar & Restaurant enjoys a relaxed atmosphere with two distinctive areas; the Bar with a inside lounge area featuring lounge sofas, tables and soft lights and a seductive Restaurant. 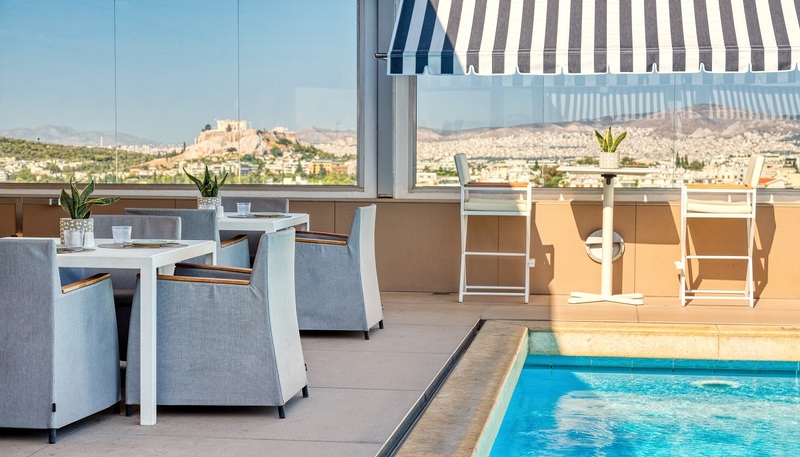 Our rooftop bar is a truly memorable destination offering incredible views of the city of Athens. Go for a swim in our all year operating dipping pool or make the most of our wide range of refreshing cocktails, served alongside a delicious choice of modern bites. 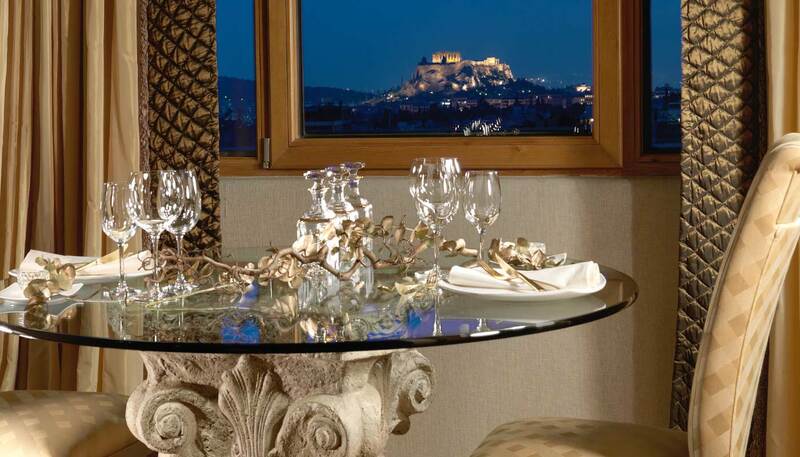 Relax and enjoy one of the most outstanding sunsets in Athens while indulging our multi-awarded service.